From Nice, many tourists hop on one of the many buses or trains to get another look at the southern coast. Small towns like Cannes and larger cities such as Marseilles are perfect for day trips and change of scenery. I explored Monaco (quick 30 minute train ride) and Eze Village (by bus). 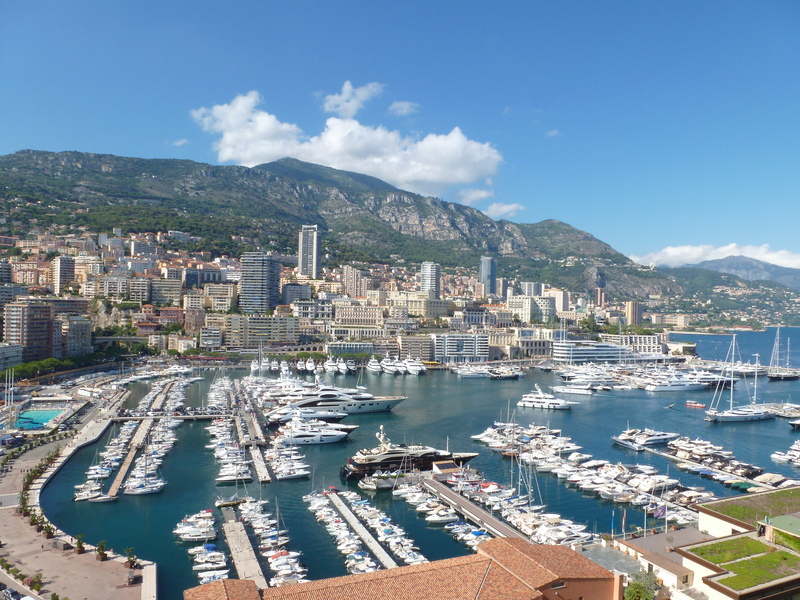 Monaco- Monaco has many reasons to be one of the smallest countries everyone has heard about. The Monte-Carlo Casino has been featured prominently in James Bond movies and car enthusiasts love to watch the Grands Prix races boasting the fastest single-seat auto racing cars in the world. To this day, Monaco is a monarchy under Grimaldi family rule for over 700 years. What this country lacks in size, it more than doubles in family history and excessive displays of wealth. Monte-Carlo Casino-There is a dress code so make sure you are not wearing ugly sandals or look like a slob before trying to climb the red carpeted stairs. For sandals that would not be appropriate, please look up Chaco’s since that was the footwear I had on that day. Accounts from other people have indicated the interior of the casino is quite extraordinary but I was having a glaring contest with the “bouncer” from my place outside. If you’re visiting at night to try your luck on blackjack or roulette, make sure to wear a dress or suit and tie. 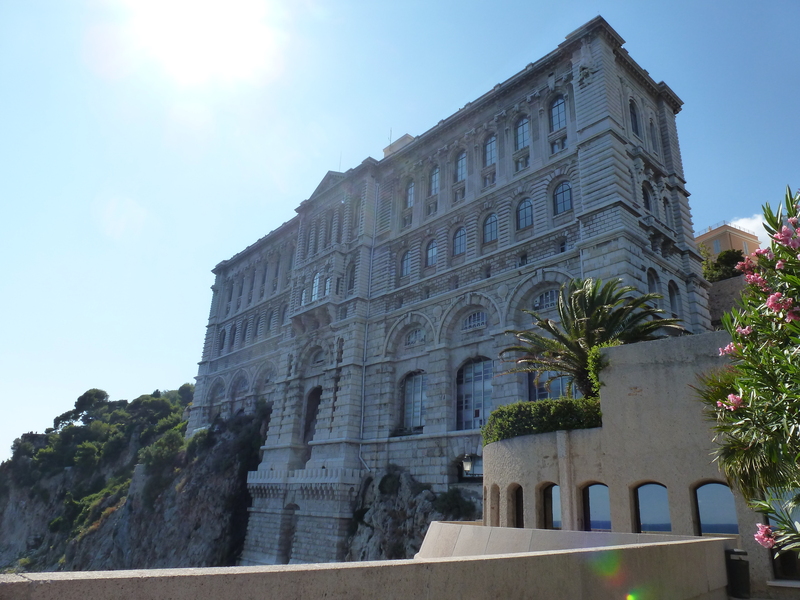 Oceanographic Museum- This aquarium is built on the cliffs facing to the ocean with a beautiful view of the water along the curve of the rocky coast. It is a great stop for families and children to view the 6,000 specimens including tropical fish, sharks and Mediterranean tanks. The views from the palace, botanic gardens and boats moored in the port are reasons to visit. Staying outside the casino however, I watched luxury cars drive around the front entrance clearly displaying the wealth of the drivers inside. 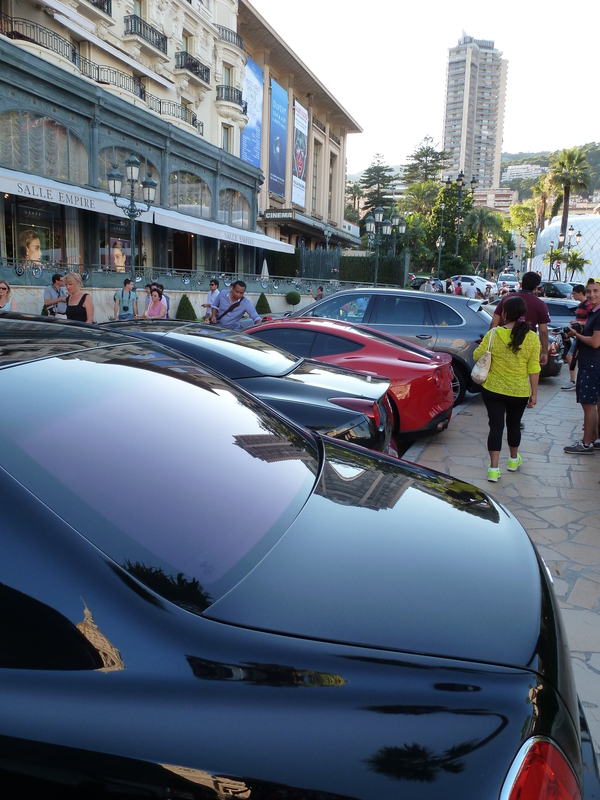 Many tourists, mostly males between the ages of 10-60, would pose next to these cars as if they were celebrities. The famous names: Lamborghini, Ferrari, Bentley, Rolls-Royce, and Ettore Bugatti. There was money here most of us only dream about and I couldn’t imagine a life focused so exclusively on external displays of opulence and greed. My feeling can be summed up in this one picture. 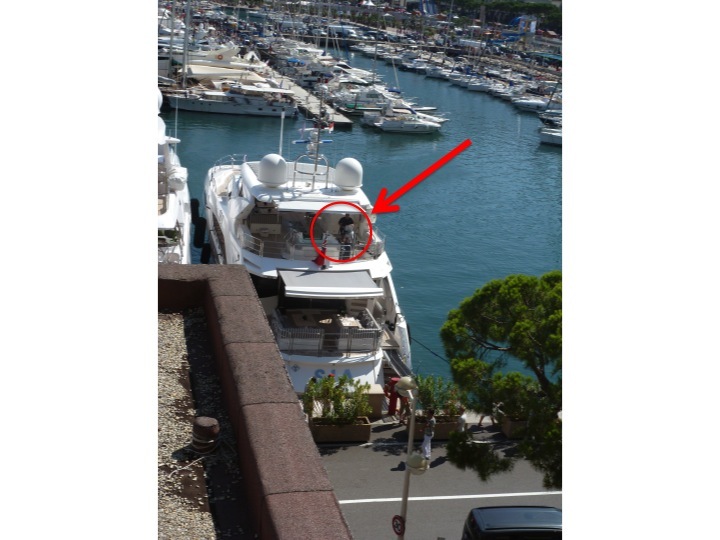 While walking down toward the water from the train station, my friend and I spotted a man on board his yacht. We watched him pump his legs back and forth on an elliptical machine located on the second story while two women sunbathed outside on the boat’s main deck. This man, with calories and money to burn, had no problems simultaneously showing off his extravagant ship while burning off that beer gut. It seems preposterous in a way I can’t fully put into words. With that kind of money, I would trade any amount of yachts in the world for a chance to visit another place I’ve never been…while contributing to charity and buying myself a really pretty dress. I’ve only been to Monaco at night. It’s beautiful (and Princess Charlene is from South Africa, my country). We want to visit Eze on our trip in September! It looks like a beautiful little place!